Richards Brothers is a local farm, feed, seed and fertilizer company serving the area for over 86 years. We specialize in personal service and strive to meet the individual needs of each customer. Since being established in 1932, we have worked with generations of farm families and we are able to put all that knowledge to work for you. We offer the best products and services available, at competitive prices and we feature the most trusted brand in animal feeds, Purina Mills. We are also the area's provider for lawn, garden and pet needs. See the differnce feeding Purina Mills Feeds can make in your farm. Years of dedicated research all designed to give you and your animals the best nutriton for the best animals you can have. Meeting is Free and includes a Meal! Come out and learn the latest about Purina Minerals and how Purina Minerals can help your cattle be healthier and more productive. We'll have special booking prices available that night too! Save Big During our Winter Clearance Sale! 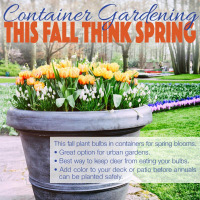 We're making room for Spring and you get the Savings! Richards Brothers is a local farm feed and supply store that serves South Central Missouri and North Central Arkansas. Started in 1932, the business has served generations of farm families and is still today one of the leading agricultural businesses in the area. Richards Brothers is one of the top Purina Mills dealers in the country and offers a full product line of Purina products in both bulk and bag. With our own mill Richards Brothers can also custom mix feed to meet your needs. We offer a wide range of feed options for all your livestock and also offer on-site visits from our Purina Trained sales force. Richards Brothers is also your headquarters for fertilizers and seeds. We offer both custom application or buggies for self-spreading. Herbicides and pesticides along with other products makes Richards Brothers your complete store for all of your livestock and pasture needs. Winter is on its way and we want to make sure you are ready! We have everything you need to help you get through the winter months. Ice Melts, stock salt, snow shovels, heaters, winter clothing and more! When you're ready to stock up on your winter supplies, stop first at Richards Brothers! The harsh winter weather can be tough on minerals. The rain, sleet, snow and gusting winds can all ruin your mineral costing you both money and cattle nutrition. But you can change that. 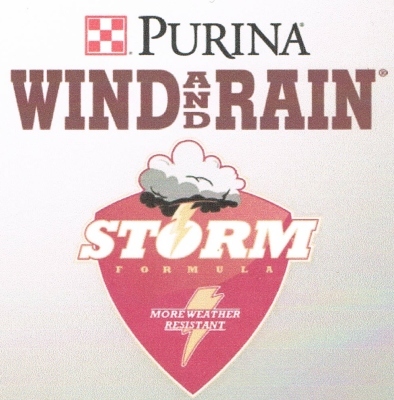 When you use Purina Wind and Rain Minerals you get the most weather resistant mineral made. You're mineral will survice the weather and keep your cattle in top condition.